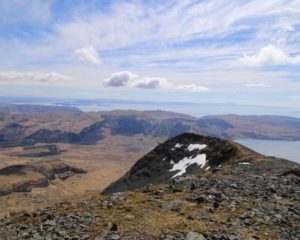 There are many other walks on Mull along the coast, beaches, Iona, up our one monroe at Ben More and all the smaller hills. Just ask and we will be pleased to recommend some ideas! 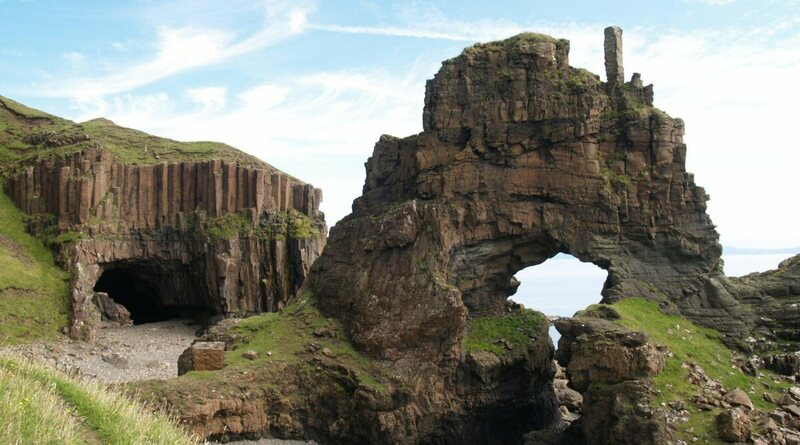 You’ll find parking at the quarry on the B8073, just after the way to Treshnish Farm. 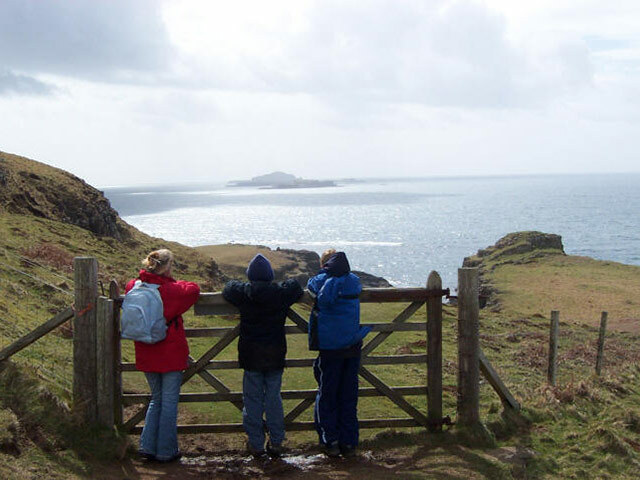 You can reach Haunn near Treshnish point via the track from Ensay, which will lead you to beautiful views of Loch Tuath and the islands of Cairn na Burgh Beg, Cairn na Burgh Mor, Fladda, Lunga and Dutchman’s Cap. When you reach here, carry on through a gate down to the first of two Iron Age forts. You’ll spot a beach under the cliffs to the South, which leads to a waterfall and a path which will take you to the deserted villages of Crakaig an Glac Gudairidh. 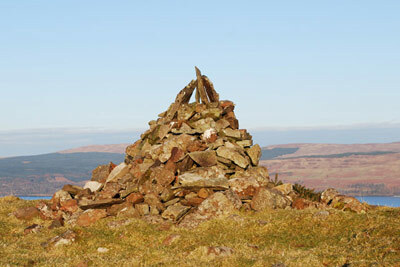 Continue across the moorland and to the old school house, which is only a little way from the start of the walk. 6 miles, 220 minutes, Grading Moderate, some challenging stretches (steep drops and narrow cliff paths). This is our favourite short walk, but please note it is muddy in some areas. You’ll find a ruined cottage with parking space after following the B8073 from Tobermory, along Mishnish Lochs for about 3 miles. If these spaces are taken, you can park in the quarry which is just before the cottage. On the walk, you’ll reach a stile. 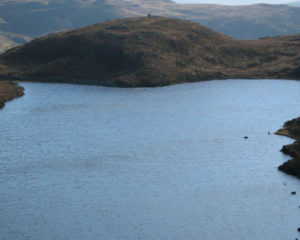 Go over this, and continue up the track where you can consistently see the summit of the volcanic hill S’Airde Beinn, with it’s hidden crater loch. 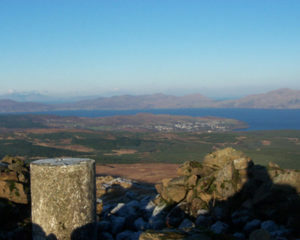 When you reach the peak, you’ll see some great views of the North of Mull if you circle the rim of the crater, whilst if you look East, you can see Morvern, Tobermory bay, and to the West the isle of Coll and the Small Isles. 2 miles, 80 minutes, Grading Moderate. After parking on the B8073 at the west of Loch Carnain an Amais, you’ll see a path beginning behind the larger of two quarries, and goes over a stile. Take this path, and when you reach the fork, keep to the right. If you continue up the ridge, you’ll see some old fence posts. 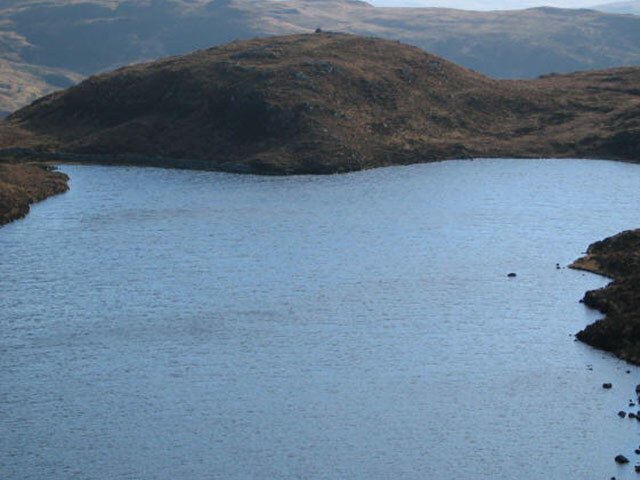 Follow these until you see Lochan Dearg on the right, and then from here you can continue on to the summit of Speinne Mor and take in stunning views of Ben More, Tobermory, the Small Isles and Coll. 5 miles, 180 minutes, Grading Moderate. 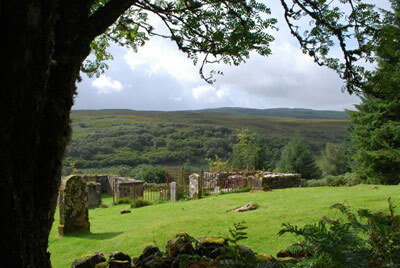 This lovely woodland walk brings you to the graveyard of Cill an Ailein, dating back to the middle ages. Beginning from the Aros Forestry Commission offices north of Salen Bay, park in the picnic area, and take the track heading east. When you’re ten minutes past the gate, you’ll come to a track which advances up a hill to the right. 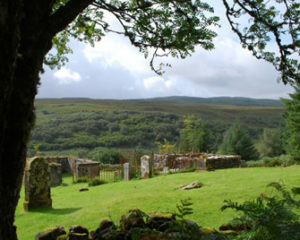 Alongside wonderful views from the graveyard out to Crannich, Ben Talaidh and Ben More, there are beautiful native trees – birch, hazel and willow. 1 mile, 1 hour, Grading Easy. 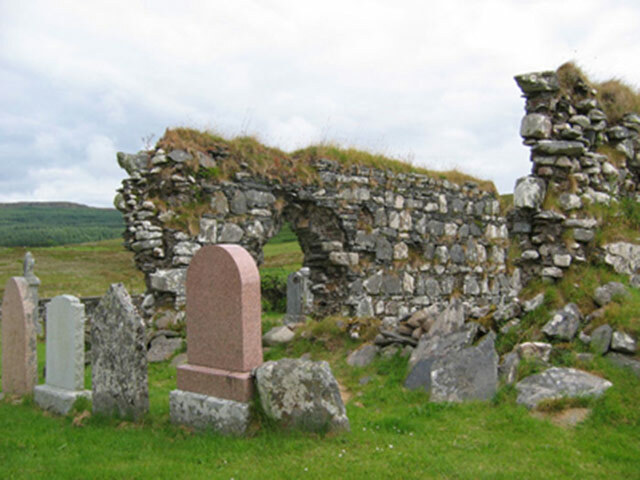 This walk will take you to a beautiful beach and the historical Kilvickeon Old Parish Church and Cemetery ruins. It begins on the Craignure to Fionnphort road, where you turn off just before Bunessan, signposted to Scoor. Park at the end of the gravel road. You’ll see the church to your right, and go through two gates. You will be fascinated by the ruins – the church archway still remains, and you will see worn pieces of carved sandstone that used to decorate the church in medieval times. 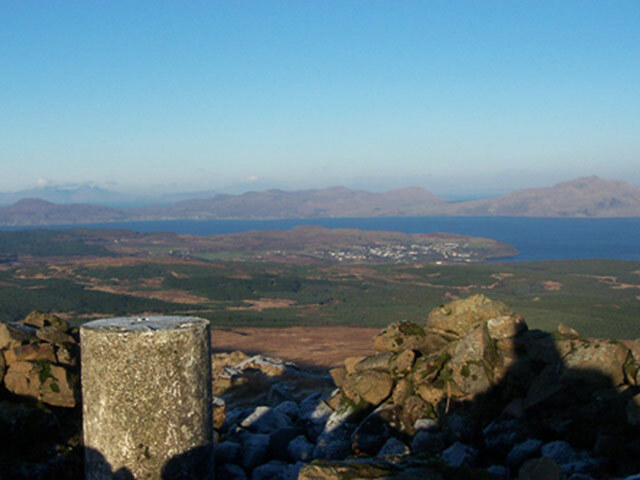 After you’ve explored, head back up the track and ascend to Kilvickeon beach. You can walk out to Garbh Eilean, a tidal island attached to the beach. After following the B8073 from Tobermory, turn right at the turning marked Glengorm. 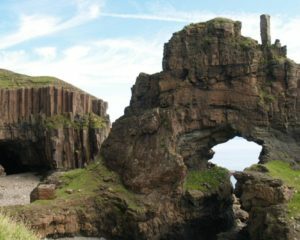 Then, you can park by the tea house at Glengorm Castle, and make your way over the opposite bridge. For some great Scotland sightseeing, you can follow the track leading in front of the castle – you can make a detour down to the bank, so you can have a closer look at the standing stones. Afterwards, carry on down the farm track until it meanders to the left. Dun Ara Fort can be seen atop the second crag. The climb is easy if you ascend from the South East side. 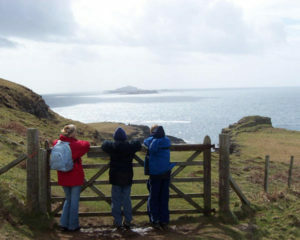 The castle’s foundations are clearly visible, and on a clear day you can also take in the view of Coll and the Uists. 2 miles, 75 minutes, Grading Easy. The track will lead you to Cnoc an Sroine ruins. 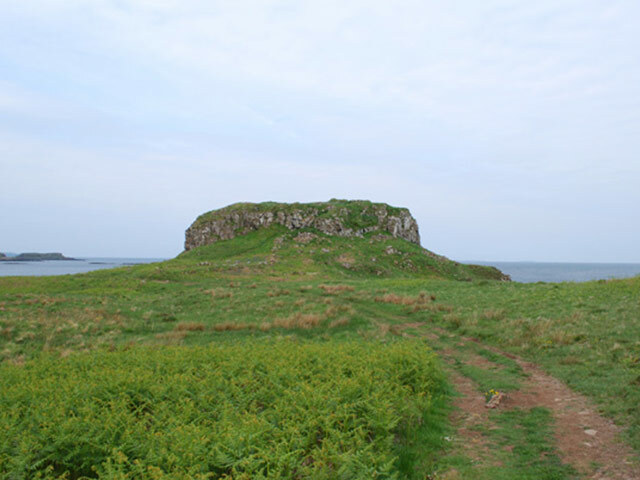 If you take the time to climb this hill you’ll see amazing views of Loch na Keal and Aros Castle. Rejoin the track as it begins to go downhill. The track will become more well-defined – turn left and walk past beautiful viewpoints down the Sound of Mull, until the track takes you back to Salen. 6 miles, 3 hours, Grading Moderate. 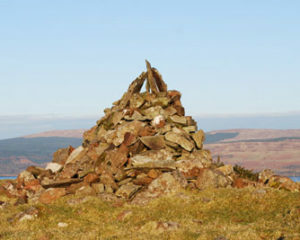 Ben More at 1174 m is the only Monro on Mull. There are 3 ways up, with the easiest which is still quite hard starting from Dhiseig. The others are harder, longer and steeper. Not for the fainthearted or unfit, but when the weather is clear there are amazing views in all directions. 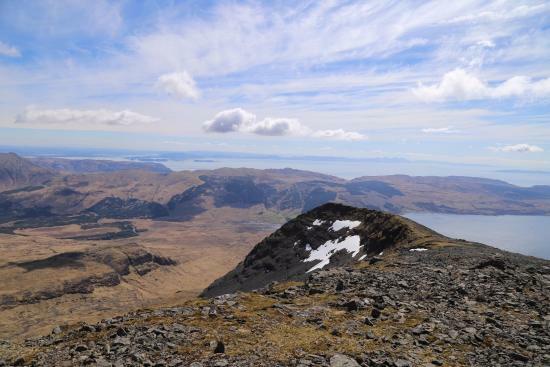 It’s one of the few places you can easily walk from sea level to the top of a Monro. But the weather can change so maps compass and good clothing are a must.